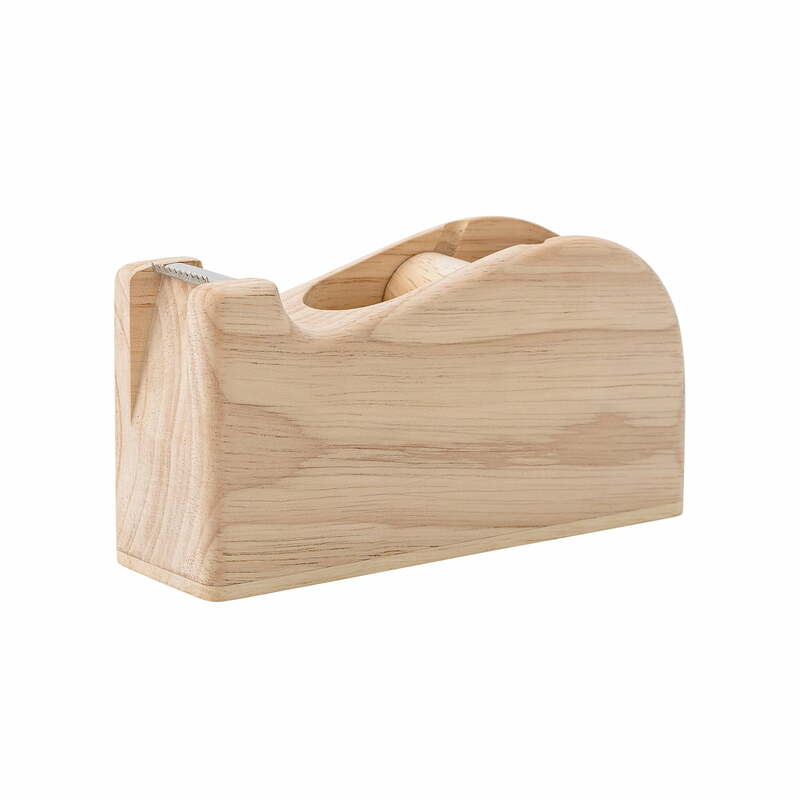 The Tape Dispenser by the Danish label Bloomingville was made from fine natural wood and becomes a very special office utensil, you don’t need to hide in the drawer. The natural wood and the soft, rounded shapes of the tape dispenser complement a natural style of living down to the smallest detail. The tape dispenser is suitable for all commercially available tapes. 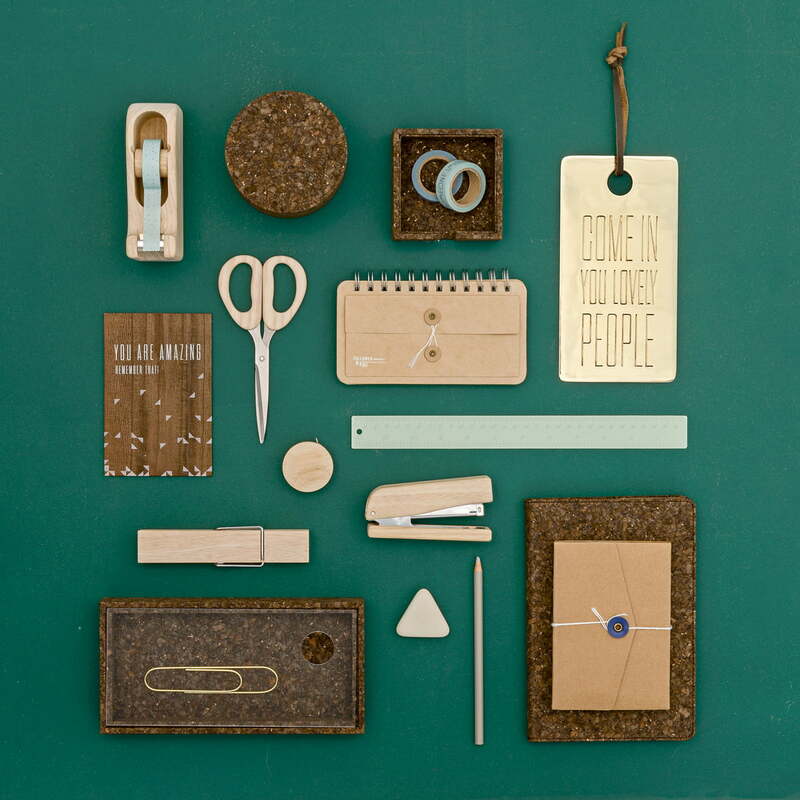 Other wooden desk accessories such as scissors, stapler and clipboard are also available. Individual image of the wooden Tape Dispenser in nature matte by the Danish label Bloomingville. The desk accessory is made from fine wood in soft, rounded shapes. Group view of the tape dispenser in nature matt from the Danish label Bloomingville together with other desk accessories of the series. Together, they form a harmonious ensemble.